If your tenants wrecked your property, it’s going to be a hard sell. While the majority of investors are fine with homes that need TLC, it’s much harder to find an investor that would purchase a home that’s better off demolished. There are a things you should consider repairing, as long as it makes financial sense to do so. Before you start your repairs, you need to know where you stand financially. If you start major repairs and run out of money before you finish them, you can find yourself in an even worse situation. You’ll also want to make sure that the money you spend on the repairs will actually become a return on your investment. If things are in really bad shape, you may be better off cutting your losses. For example – the average cost of a roof replacement in the United States is about $12,000. 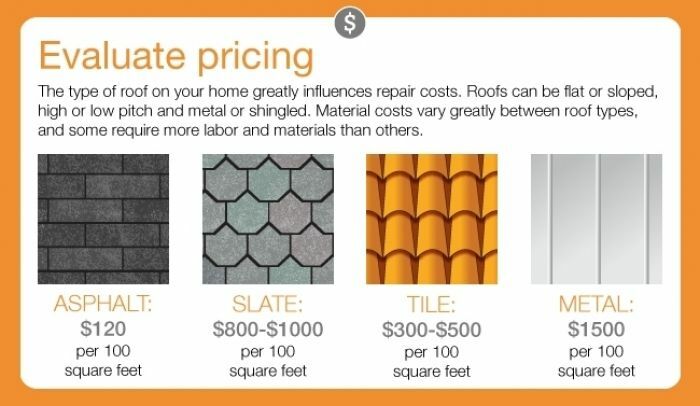 Some roofs will cost more, and some roofs will cost less. A new roof can add anywhere from 15 to 40 percent to the value of your home. You want to make sure you’re gaining on the investment before you make it. Roofs last anywhere between 10 and 50 years. It all depends on what kind of storms have hit, and what the shingles are made of. If your roof is in bad condition, getting a new one will make all of the difference in the world. If your roof only has minor damage in a few small spots, having it repaired is less expensive. Outside of how they appear in a cosmetic sense, you need to make sure your walls and floors have some integrity. Check for mold and mildew on walls that border bathrooms and kitchens. If your tenants have left any holes in the walls, you’ll want to get them fixed. Crooked or collapsing walls can be a sign of a huge problem, and you need to make sure there’s nothing going on with your roof or your foundation. Floor that’s been significantly damaged will need to be replaced, though that goes without saying. What you choose to replace it with is dependent upon your budget, though you may be better off choosing flooring that will increase the value of your home rather than simply neutralizing the situation. Your foundation should be level and free of cracks or significant damage. A damaged foundation can be a sign that something catastrophic is about to happen. Make sure you aren’t on a sinkhole, or that the land isn’t eroding from beneath your home. If you need to, have the gaps beneath your foundation filled. Doors that have been significantly scuffed, kicked in, broken, or swollen from water damage will need to be replaced. You don’t have to go for anything fancy. Plain white doors with nice, simple knobs are enough to get the job done. They’re also easy to install on your own. Front and back doors are a little different. If they’re only holding on by a thread, this becomes a security issue. You’ll want these doors to be sturdy, airtight, and equipped with proper deadbolts. Any broken windows will need to be replaced. This isn’t limited to windows with broken glass panels. You’ll also want to replace windows with broken locks, as well as windows that are difficult to open. Your rental property could be somebody’s dream house, until they flush the toilet. Septic that overflows into the yard or produces a noticeable smell needs to be handled immediately! If your property doesn’t have a septic tank, you need to make sure everything is getting to the sewer alright. Toilets showers, or sinks that are slow to drain can be a warning sign. If there are any issues with your pipes that cleaning can’t fix, you may need to replace the pipes.While you’re already working with the pipes, you should check your water pressure. A lot of buyers are put off by low water pressure, so it’s probably worth your while to raise it. Once you’ve made a work list, you need to figure out fits in your repair budget. You may not be able to fix every major issue, but something is better than nothing. 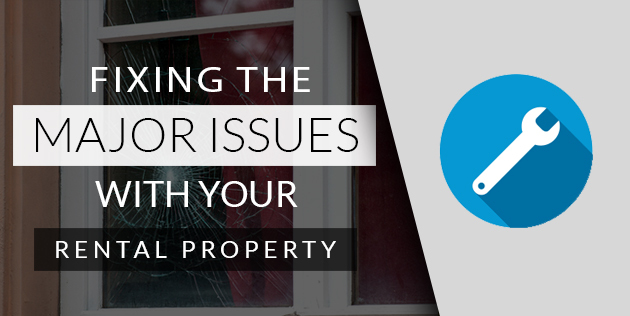 It’s easier to move a property that has one or two things that need serious attention than it is to move a property that's falling apart completely. If you decide to sell to an investor they will often be very adaptable, and the offer you get will have the price of the repairs you can’t afford removed from it. If you need to, let the real estate investor use their money to get things up and running so you won't have to deal with ANY of this hassle. You’ll be profiting less, but that’s better than the risk of driving yourself into debt over repair investments you can’t recoup. If you're in the Southern California area and have a rental you would just like to get rid of, you can contact our team at: 951-331-3844 or visit this link to learn more about our home buying process. On a final note, you may believe that the amount of bedrooms or bathrooms is what’s making your property less likely to sell. While a lot of people believe that converting garages or family rooms into bedrooms or offices is a good idea, it isn’t. Many buyers are unhappy to lose the space for its designated intention, and putting new rooms in an area that wasn’t designed for them can disrupt the flow of your house. amazing experience and worked great with us. everyone was very helpful and everything with smooth. I would highly recommend them to anyone who needs to sale a house fast without any bumps in the road. Professional, courteous and willing to help through the entire process, which was fast and easy. I definitely recommend So Cal Home Buyers. Honest friendly people they show up on time very business like with no costs and escrow in about 30days it was amazing. I was supprised how fast and easy it was and got a fair price for my house as well. Good company. Great people. fantastic. contacted them right before the xmas holiday. thought would not get any reply till new year. LO and behold - had offer next day. after the holidays, stopped by office and took their offer. closed 2 weeks later. they offered a good price, walkthru inspection was easy, and all was done in 30 days of offer. all i can say - awesome. reliable, fair, courteous, and helpful. highly recommend them fort your home sale. quick, simple, fai, easy and most of all painless process of selling. (they handled all the closing and other paperwork). Southern California Home Buyers are very professional and very easy to work with. They give you weekly updates to make sure everyone stays in the loop. You are always able to reach them via phone,text, or email. This transaction has been a great experience for my parent's and I. I would highly recommend them to my friends and family. An outstanding experience!! Would highly recommend this company!! It came to us by way of a television commercial right at the time when I was dealing with an other company and was having a very frustrating time, from the very first conversation with them I canceled the other company and moved forward. Great process, outcome and more importantly great people!! SCHB is an awsome company. They were there all the time through the whole process. I would highly recommend this organization to anyone that wants efficient results at a bargain price.Southern California Home Buyers all the way. Working with SoCal Home Buyers made a bad experience so much better. Thank you Lisa and Kristen for being so wonderful! Doug & his team provide an awesome service for home owners. He's quick to respond, helps you through every step and doesn't low ball the offer he makes on your home. Highly recommended! ©2019 SoCalHomeBuyers.com. All Rights Reserved.